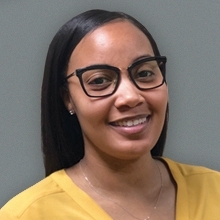 Amarah is the HR Director – Executive Assistant in the corporate Nashville office. She is a Nashville native and graduated from Tennessee State University. She brings 4+ years of human resource and recruiting experience, with the majority of her experience focused on the engineering industry. She leads the onboarding and offboarding of all TelForce Group employees, while assisting our President and Controller in day-to-day functions. Prior to joining TelForce Group, she worked in HR for an electrical engineering company, where she recruited Electrical Engineers, AutoCAD Drafters and Production Managers. TelForce Group LLP is a Native American Indian-Minority-Owned Business Enterprise founded by Ron Deese. TelForce can help you reach your MBE requirements with your client partners – call us for details.